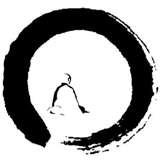 What does dependent origination describe? What is the relationship between one item and the next? Here I present a new interpretation of Dependent Origination (DO). and lust for ...'. many things - including "contact", and "feeling". It even speaks of "desire and lust for craving ..."
This would be "dependent co-origination", or "co-dependent origination". but not sufficient condition for feeling. Desire and lust (chandaraga) is the other necessary but not sufficient condition. The two together comprise a necessary and sufficient condition. object of desire - objectified feeling. condition for the arising of objectified craving. Dependent Origination thus becomes a chain of "objects of desire". I think that these objects of desire are called "dhamma's" in the Nikaya's. vinasp wrote: Dependent Origination thus becomes a chain of "objects of desire". I think DO is basically describing how desire keeps us "in the loop" of suffering. Dependent origination offers a radically different perspective that transcends the two extremes. It shows that individual existence is constituted by a current of conditioned phenomena devoid of metaphysical self yet continuing on from birth to birth as long as the causes that sustain it remain effective. Dependent origination thereby offers a cogent explanation of the problem of suffering that on the one hand avoids the philosophical dilemmas posed by the hypothesis of a permanent self, and on the other avoids the dangers of ethical anarchy to which annihilationism eventually leads. As long as ignorance and craving remain, the process of rebirth continues; kamma yields its pleasant and painful fruit, and the great mass of suffering accumulates. When ignorance and craving are destroyed, the inner mechanism of karmic causation is deactivated, and one reaches the end of suffering in samsara. Perhaps the most elegant exposition of dependent origination as the "middle teaching" is the famous Kaccanogotta sutta. on the eye will, of course, also fade away and cease. when that preceding item ceases. remaining dependent on the preceding item. should cease, then all the items in the chain will also cease. Three poisons or afflictions in Buddhism are ignorant, attachment, and aversion. What is the difference between aversion and repulsion? DarwidHalim wrote: What is the difference between aversion and repulsion? Aversion results from repulsion? Likewise craving results from attraction? You seem to be saying that feeling is something that is desired; that one desires to feel some feeling or other - is that the case? And does this mean that the other links in the chain are also things that one could or does desire? I just have a doubt with this translated Sutta. "through revulsion towards the eye". Ignorant, attachment and aversion are the three poisons in Buddhism. Attachment should not be entertained, because it causes suffering. Aversion should also not be entertained, because it causes suffering. (unless aversion has a different meaning with revulsion - then we have a totally different story). I think here "revulsion" has the meaning of dispassion and disenchantment, seeing the danger in craving and aversion via the 6 sense media. Quote: "Three poisons or afflictions in Buddhism are ignorant, attachment, and aversion." Yes. In Theravada Buddhism these are usually called the Three Unwholesome Roots. "And what is the root of the unwholesome? Greed is a root of the unwholesome; hate is a root of the unwholesome; delusion is a root of the unwholesome. This is called the root of the unwholesome." lobho akusalamūlaṃ, doso akusalamūlaṃ, moho akusalamūlaṃ — idaṃ vuccatāvuso, akusalamūlaṃ. lobha is greed. Dosa is hatred, anger, aversion. Moha is delusion. Sometimes raga (lust) or chanda (desire) are used in place of lobha. Quote:"What is the difference between aversion and repulsion?" magnet repels another one. Revulsion is mental and is the same as hatred or aversion. vinasp wrote: Revulsion is mental and is the same as hatred or aversion. But in the passage you provided below, how can liberation by non-clinging result from "revulsion" towards the eye if "revulsion" here means "aversion"? Aversion is a light form of anger/ill will. It's trying to push things away. Revulsion (or dispassion) is a natural result of seeing things as they are. Seeing that all is dukkha, gives rise to dispassion towards it all. It's this dispassion that drives one away from sense desires, towards a simplified life and eventually nibbana. This is not really a voluntary action. It's like having to pee, you can't help it, you just have to go. (bad example, but you get the idea ) You can't hold it forever, just like a sotapanna can't stay in samsara forever. So the two are fundamentally different. But when one doesn't see how things are, it's easy to mix the two up. But of course some contemplation on the difference can help in understanding. Apart from that, I don't think dependent origination needs yet another interpretation.